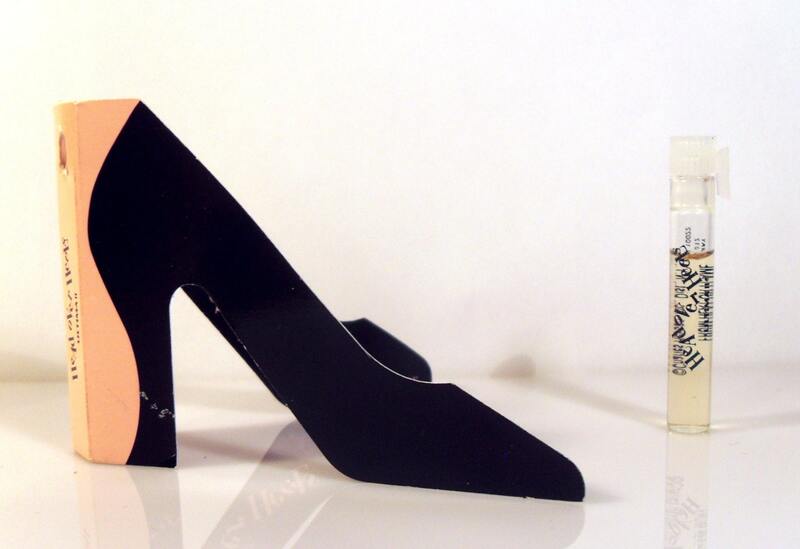 Vintage 1990s Head Over Heels by Ultima II 0.04 oz Splash Manufacturer's Sample Vial on high heeled shoe shaped Card. Launched in 1994, by Charles Revson (marked on card), as a crisp, fruity floral fragrance for women. It was reformulated and relaunched in 1996 under the Revlon name instead of the Ultima II name.